How do we feel about people who are in prison? Criminals, who got what was coming to them? Dangerous people who deserve to be shunned by society? Think about what the Savior said. 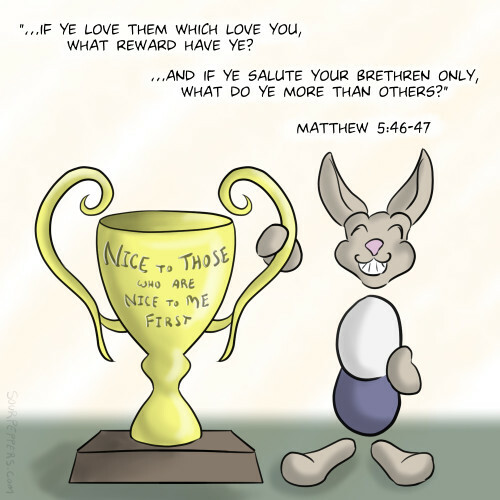 In his story about the final judgement, when commending those on His right hand for their righteous deeds he didn't say, "Some bad men were in prison, and you went and visited them." He said "I was in prison, and ye came unto me" (emphasis added). 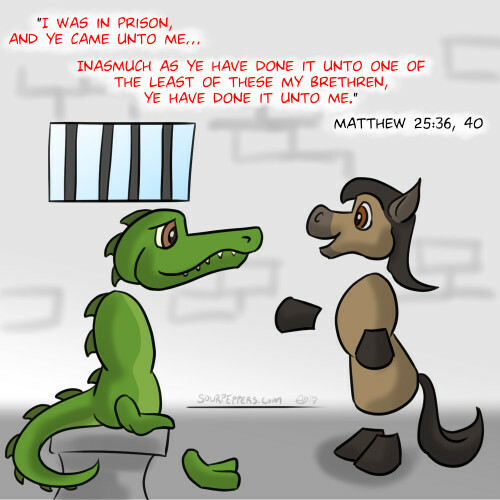 Christ compares the compassionate act of visiting our brothers and sisters in prison to visiting Him, the Son of God! As important as it is to not forget about those who are literally in prison, I think this can be extended to include those who may be "imprisoned" spiritually. Those who may suffer from addictions, have fallen into sinful behavior, or who may be ostracized from the fold of God. Let us be careful not to judge them, let us remember to visit them, and let us remember that it is a privilege to do so. For Christ Himself compared it to doing the very same unto Him! Whatever your religion, whatever your ideology, attacking those who disagree with you doesn't help your cause. 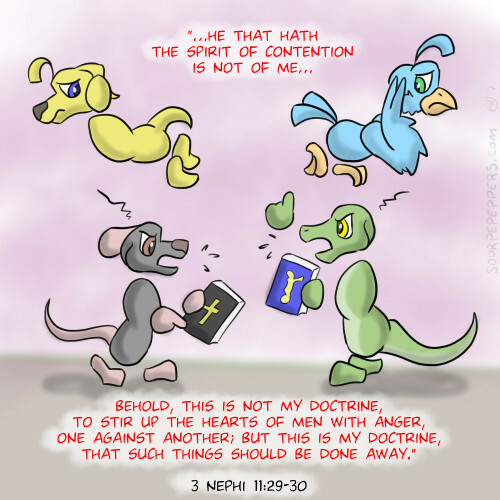 That's not to say we shouldn't defend our beliefs. But we can do so without being awful to one another. I don't think we're told exactly what Paul's "thorn in the flesh" was. He describes it as being a "messenger of Satan" to torment him. And so he asked the Lord to remove it from him; to cure him of his infirmity. Whatever it was, while it may have come from Satan, the Lord allowed it to stay, the reason being that His Grace may come upon Paul. Perhaps this was to more fully teach Paul to depend on the Lord for strength, and to fortify his faith that the Lord would do so when called upon in faith. Paul concludes by saying, in effect, that he would rather suffer and have the Lord's help, than not suffer and be left on his own. We all suffer various infirmities. While God may not directly cause them, it's clear He often does allow them. I think this passage helps us understand a bit better why that could be. 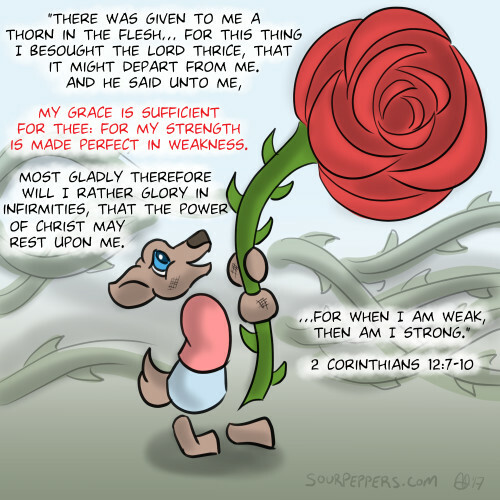 In our infirmities we learn to depend on the Lord. And perhaps there are other things we can learn too: patience through challenges, empathy for those going through similar trials, and we may learn more about ourselves too, and our own strengths and weaknesses.